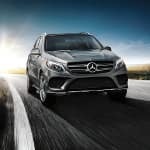 Featuring elegant design, unmatched luxury, and the option of SUV or Coupe body styles, the 2019 Mercedes-Benz GLE has what it takes to elevate your daily routine. From five-passenger seating to available in-cabin Wi-Fi®️, you’ll be surrounded by comfort and modern amenities with each drive. 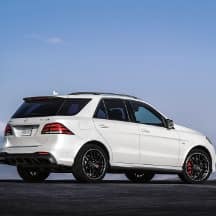 The experts at Autohaus on Edens in Northbrook, IL, have created the following page to highlight the key features included with the 2019 Mercedes-Benz GLE SUV to help you decide if this model is right for you. If you’d prefer to speak directly to a product specialist, contact our Mercedes-Benz dealership directly at (847) 272-7900. Rear Seat Entertainment System Keep your family entertained with dual monitors, wireless headphones, and multiple inputs to turn the rear seats into a private theater. 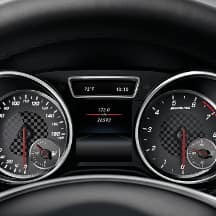 329 HP Engine When equipped with the 3.0L V6 biturbo engine, you’ll experience nimble handling, and a nine-speed transmission for effortless and sporty shifting. 7,200 lbs. 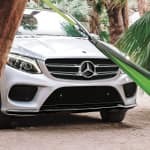 maximum towing capacity Your new Mercedes-Benz SUV is ready for your next getaway thanks to the superior towing power of the 3.0L V6 engine. ATTENTION ASSIST® Working to keep you alert and monitor your driving habits to determine if it is time to take a break, this system keeps you safe behind the wheel. The inviting cabin of the 2019 Mercedes-Benz GLE provides the features and luxury amenities you need to look forward to every drive. You’ll appreciate having ample cargo space, with 80 cu.-ft. of room, a standard power liftgate, and an available panoramic moonroof. Are you ready to add the 2019 Mercedes-Benz GLE to your daily drive? 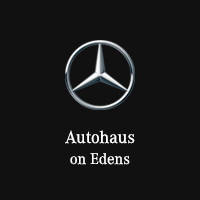 Autohaus on Edens in Northbrook, IL features special offers designed to get you behind the wheel of your new luxury SUV. 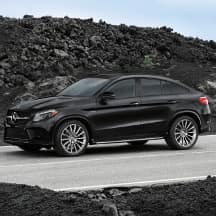 Browse our current 2019 GLE SUV offers to find one that suits your needs best, and then claim your offer by calling our Mercedes-Benz dealership at (847) 272-7900.